Hi, my name is Kim and when I am not crunching numbers away in my cubical I am secretly looking at fashion, design, and home improvement websites. In all this time I have built up a little library I am excited to share with the ladies of the Textile Arts Center and all you loyal textile fans out there. 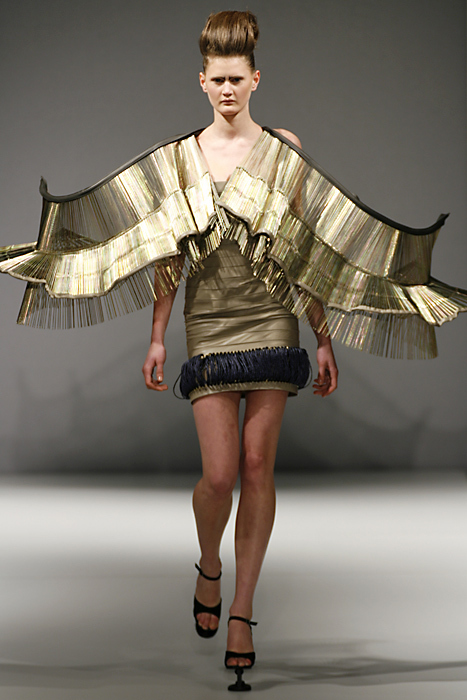 My entries will center around forward-thinking design which infultrates every part of our lives. Isn’t it wonderful? I was watching the Superbowl (only made it through the half-time show) wen Fergie’s outfit caught my attention. 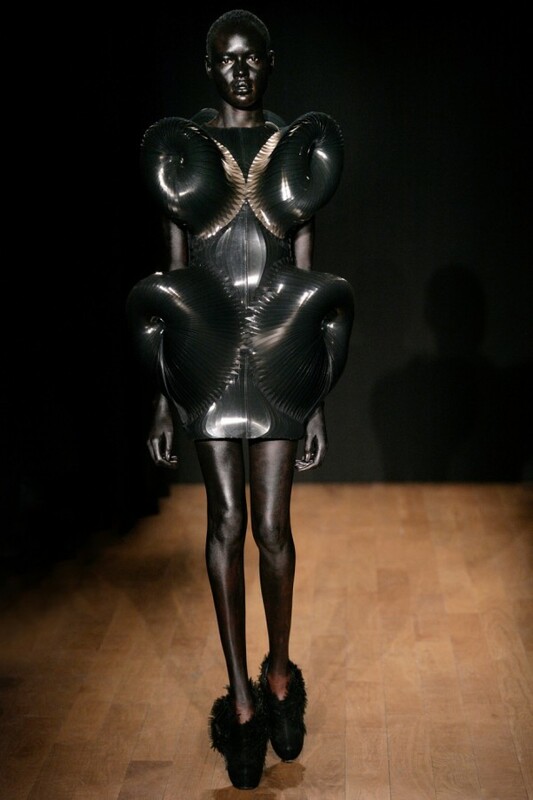 It reminded me of a Dutch designer Iris Van Herpen whose 2011 designs defy all my pre-conceptions of clothing. 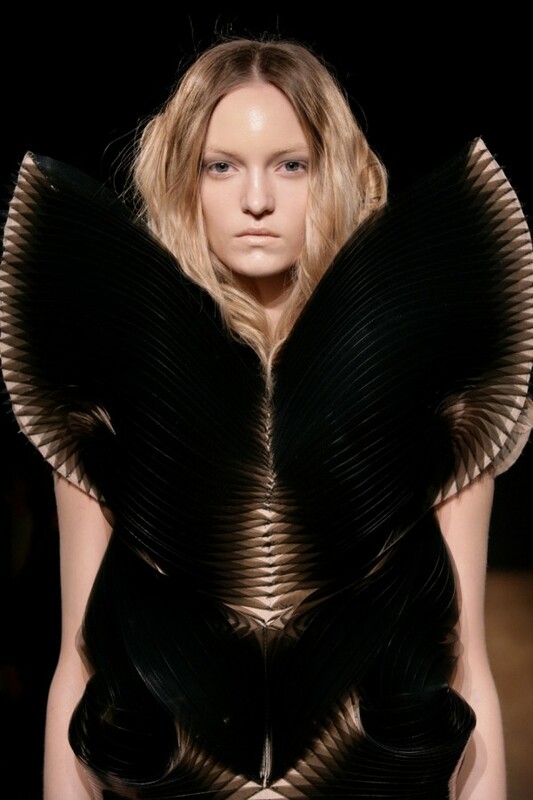 Let’s face it: curvy clothing is back. 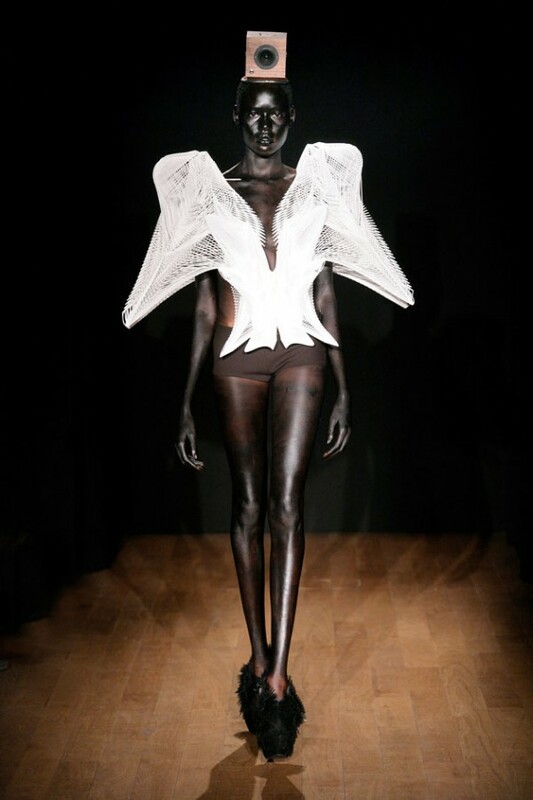 We were given these bodies, why not accentuate the best parts of us…in futuristic wear.